Sports Labs- Rugby Sevens ready to go with the help of Sports Labs! Rugby Sevens ready to go with the help of Sports Labs! 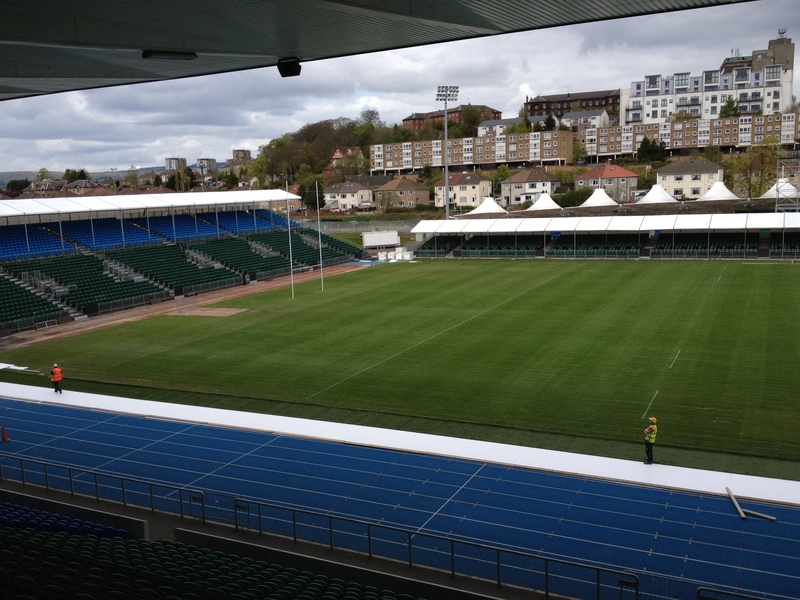 The IRB Sevens comes to Glasgow next weekend The new venue at Scotstoun Stadium is nearing the end of it's transformation from athletics venue to rugby stadium! The slight problem was the pitch i.e. it's too small! No problem we will extend it with artificial turf. Photos of shock pad being installed on home straight of the now covered track! 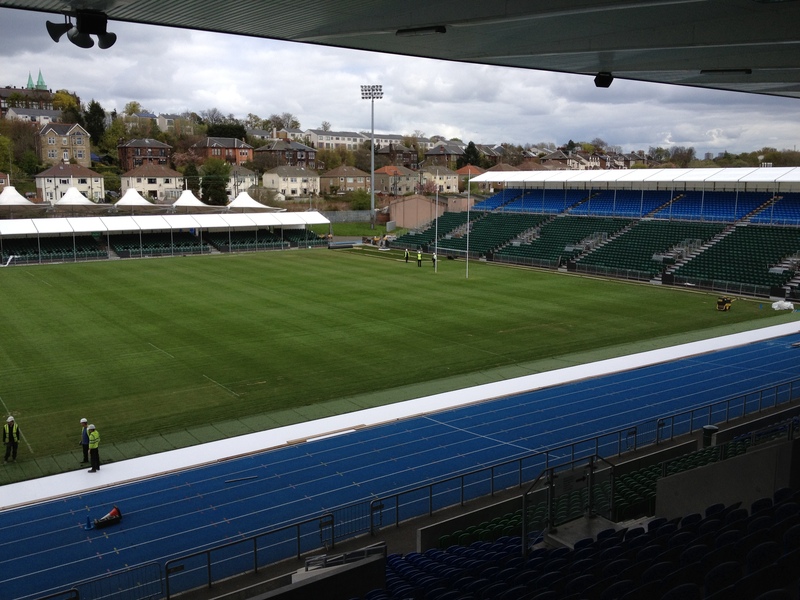 The track has been covered by temporary seating and new artificial turf has been added to the run-offs extending the pitch by 5m in all directions. The artificial turf had to be safe for rugby and therefore must comply with the IRB Regulation 22 for artificial playing surfaces for rugby, a somewhat difficult proposition. 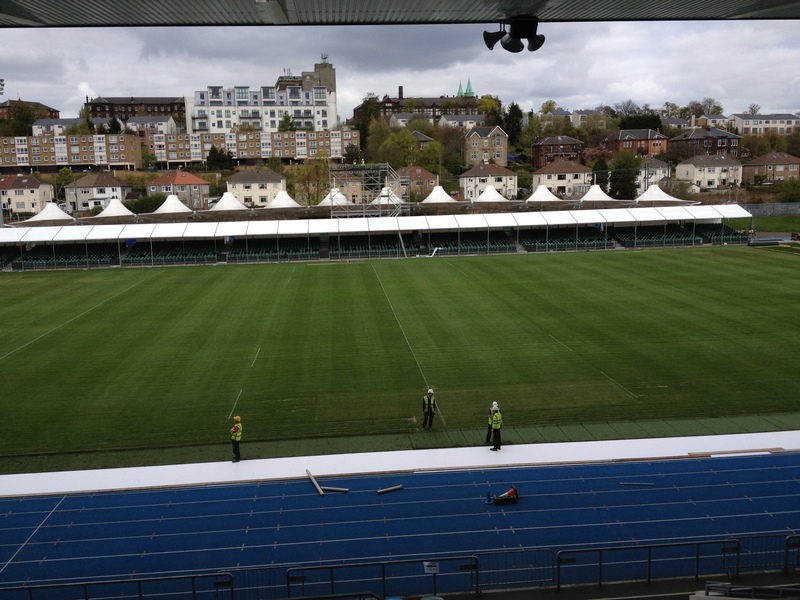 New turf was manufactured specially for this event and with a very tight timescale the job was all the more difficult. sports Labs were instrumental in making this happen to allow the event to happen Photos of shock pad being installed on home straight of the now covered track!